Home » Categories » Manipulate 'em! 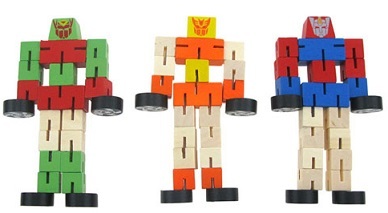 Colourful wooden "transfomer" characters with moving parts. Irresitible to fiddle with. Transformers may vary in colour. Use the magnetic wand to pull the beads through this adorable maze! 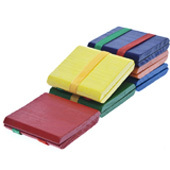 These colourful half-inch wooden blocks are connected together by heavy-duty elasticized string providing a great tool for fidgety hands! Jacob’s Ladder is a classic wooden toy that is still a favourite of kids of all ages! 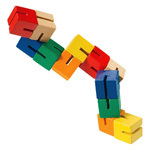 Each 12" Jacob’s ladder has six wooden blocks in assorted colors. Hold up the squares and they appear to cascade endlessly. Be mesmerized by the movement! Move and manipulate Wacky Tracks to enjoy an endlessly satisfying series of clicks, pops, snaps, crackles, and crunches! An engaging auditory and tactile experience! A perfect toy to keep hands of all ages busy! A sturdy fidget and an excellent stress reliever! 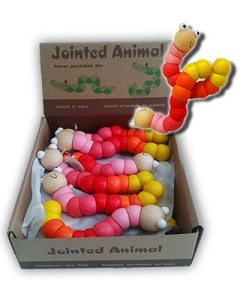 These colourful jointed animals are connected together by heavy-duty elasticized string providing a great tool for fidgety hands!